Egilsstadir is a town in east Iceland on the banks of Lagarfljót river. In 2007, the town had over 2,300 inhabitants. The town is young, even by Icelandic standards where urbanization is a fairly recent trend compared to mainland Europe. It was established in 1947 as an effort by the surrounding rural districts who felt the need for a service center in the region. They intentionally chose a spot in the land of the Egilsstaðir farm (which the town was named after) near the bridge over Lagarfljót because that is a spot where all the main roads of the region meet, Route 1 as well as the main routes to the Eastfjords. Today, Egilsstaðir has grown to become the largest town of east Iceland and its main service, transportation and administration center. 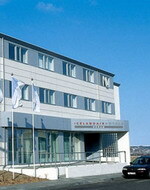 The Hotel Herad is a modern property located in East Iceland's capital city of Egilsstadir. The Hotel Herald Restaurant offers an extensive à la carte menu, including fresh fish and Icelandic specialties such as reindeer steak, in a Scandinavian- style setting with a large balcony where guests can enjoy the midnight sun. It is open daily for breakfast, lunch and dinner. Guests can start the day with the hotel's breakfast services, relax with a drink in the bar, and order snacks from the room service menu. Multilingual staff at the 24-hour front desk can exchange currency, and give advice on the hotel and surrounding area. There is complimentary wireless Internet access throughout the hotel, and free onsite parking is available for those arriving by car. Visitors are well located to explore the region; the bus terminal is just 200 metres away, and Lagarfljot River is five kilometres away. 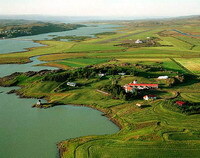 Further afield is Hallormsstadur Forest, 15 kilometres distant. The Hotel Egilsbud is located in Neskaupsstadur, Iceland, 50 metres from the local nature museum, and two kilometres from Paskahellir Cave, also known as the Easter Cave. Guests at the modern Hotel Egilsbud are offered complimentary use of the town's swimming pool, which is located next door. 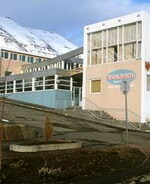 Hotel Egilsbud has a restaurant serving Icelandic dishes and snacks; there is also a bar, and a complimentary breakfast is served daily. Complimentary wireless Internet access is available in the public areas of the hotel, and computer rental is available. The hotel's two floors contain nine guestrooms with televisions, complimentary wireless Internet access, and private bathrooms including hair dryers. The Hotel Edda Neskaupsstadur Is Located In Neskaupsstadur, East Iceland, 65 kilometres from Egilsstaðir, 71 kilometres from Hoefn and 90 kilometres from Faskrudsfjordur. The Hotel features a restaurant with fjord views, swimming pool and hot tub and a 24-hour front desk. Guestrooms feature private bathrooms, coffee and tea-making facilities and hair dryers.